Preheat a char-grill pan or barbecue over high heat. Brush each side of the bread lightly with oil and cook for 1–2 minutes each side. 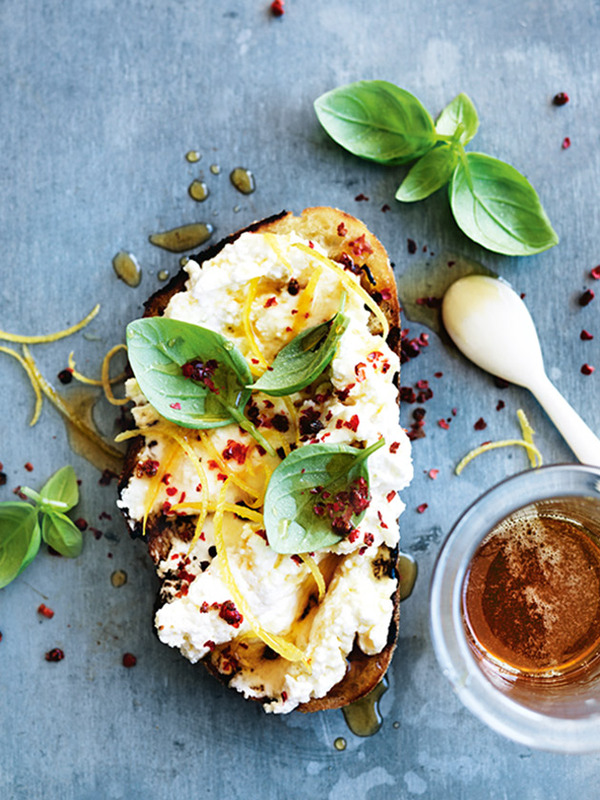 Spread each slice with ricotta and sprinkle with the lemon zest, basil, peppercorns and salt. Drizzle with extra oil and the honey to serve. Makes 4.